1. Remember that the Employer Shared Responsibility requirement is now in effect. This means employers with at least 50 full-time equivalent employees are required to offer affordable health coverage that pays at least 60 percent of the cost of covered benefits for employees and their dependents. If employers do not comply, they may be penalized if one or more of its full-time employees receive a premium tax credit for purchasing individual coverage on one of the public health insurance exchanges. 2. Learn who needs coverage. Applicable large employers with 50 or more employees, including equivalents, are required to provide coverage to full-time employees who work at least 30 hours a week, as well as dependents under the age of 26. However, businesses are not required to offer coverage to part-time employees or the spouses of part-time or full-time employees. 3. 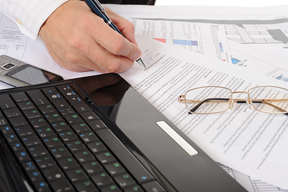 Adhere to IRS reporting requirements for employers. Applicable large employers and businesses with self-funded health plans are required to report information regarding the health coverage of employees to the Internal Revenue Service (IRS). It’s important for business owners to keep track of any changes in employment status for each employee, provide appropriate health coverage and report necessary information to the IRS. There are many resources to help businesses stay on track with requirements. A good place to start is with your local broker and insurance agent or by visiting aflac.com/health-care-reform. Russia has announced Willingness to make Peace with US. Possible Ending Russian Sanctions from EU and Trade?